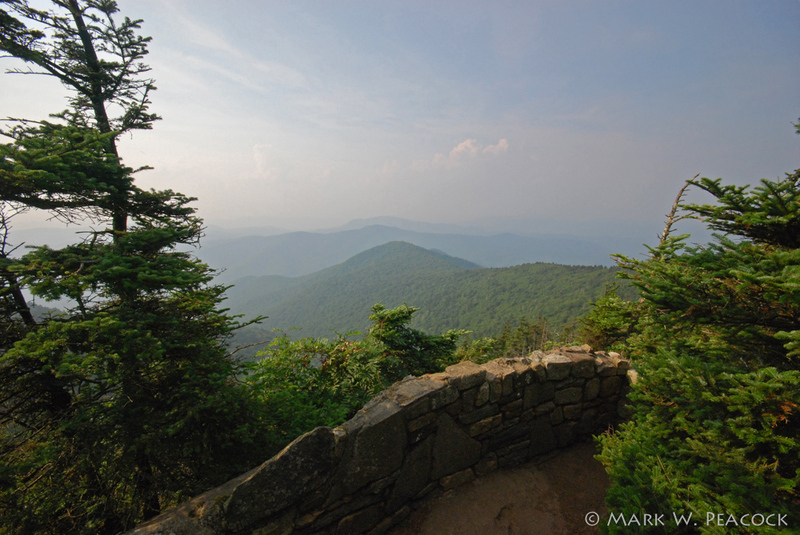 Sunset Rock is a little known overlook on Roan Mountain. I didn't find anything about it online, so I thought I'd post some information here. While it's not necessarily worth a trip just to see this, it's an easy walk (one tenth of a mile), and it gives a different perspective than what you see from the Rhododenron Gardens or from the Roan High Bluff Overlook. As you can see from the photo above there's a small terrace that they've built giving a nice view of the area northwest of Roan Mountain. Next time you visit Roan, stop by and check this one out. Directions. From Carver's Gap, follow the signs to the top of the mountain. You'll pass a pay station ($3 per car), and then quickly reach a fork in the road, stay right, heading toward the signs pointing to the old Cloudland Hotel site. The trailhead is immediately on your left as you enter the parking lot. Look for a water fountain and a sign indicating the "Cloudland Trail." Park here and walk in 0.1 miles, then follow the fork to your right down to Sunset Rock. 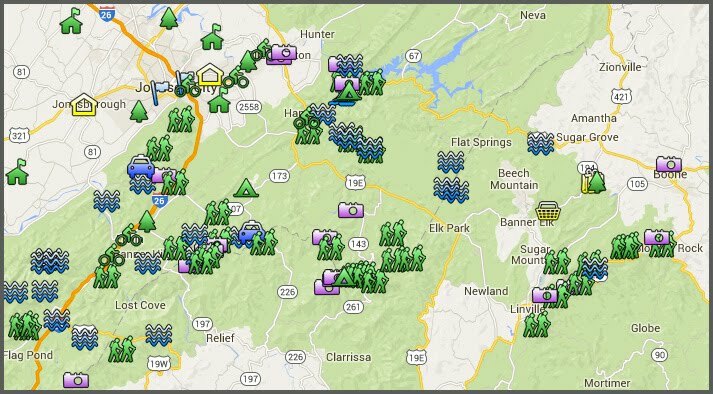 Click here for a Roan Mountain brochure and map. Here is a nice post about Roan Mountain. I always heard my Grandfather refer to this as "sunrise rock", with no real explanation as to the name. In Jennifer Bauer's excellent book about the Roan she explains that, due to the elevation of Sunrise Rock, the sun's first morning rays will strike an observer on the Roan in WNC, before they fall on the Outer Banks of North Carolina, some 450 miles to the east. 'Sunrise rock" is what my Granddaddy always called it too. Been going out to the overlook since I was a kid. My mother grew up in view of Roan mountain and I have many dead relatives in the ground around there. Great place to explore.